Currently in Xinjiang, a developing tendency is that the authorities are over-extending anti-terrorism measures to conceal other problems in their name, including the incompetence of both the local governments and the security maintenance apparatus. In fact, the biggest problem in Xinjiang is not anti-terrorism, nor is it terrorism, but rather, the problem is that political power is unrestrained, unequal, controlled and monopolized by the very groups that profit from it. I’ve seen this in Xinjiang: the more the authorities suppress religion, the more the Uighur people embrace religion. What should the government do? The government repeatedly applies pressure when in fact it should first examine itself. If they cannot govern themselves, then they cannot govern the country. If they cannot govern themselves, if they do not change their way of dealing with and thinking about the Uighurs, if they do not respect the people’s right to speak, including respecting the Uighurs’ right to ethnic autonomy, then the conflicts between the Uighurs and the government will become more and more pronounced. Ilham teaching. Photo from the Tibetan writer Woeser’s Twitter account @degewa. In 2009 when I was under house arrest, I warned the Chinese government that future protests by the Uighurs could become a protest movement the scale of which would surpass anything seen in the past sixty years. The government would see the Uighurs become more and more united in this protest movement. I now boldly predict that, if the government does not change its policies toward the Uighurs, the Uighurs will more and more choose to confront the government in order to make their appeals. Some Han Chinese scholars say that the issues confronting the Uighur and the Han are fundamentally the same. I agree somewhat with this statement because, from the perspective of human rights, government, and democracy, the Uighur and the Han face the same issues. Nonetheless, the Uighurs also face a particular problem: social resources. We Uighurs also face such problems as ethnic and religious discrimination, and so on, due to the great differences we Uighurs have with the mainstream Han culture, including language, physical appearance, religious beliefs, and so on. At present, Xinjiang is under the “one village one police station, one household one police officer” campaign.1 This campaign came into effect after Zhang Chunxian (张春贤) took office in Xinjiang. The campaign stipulates that one village will have one police station and each police officer will be responsible for a single household. The personnel making visits to the villages and households include cadres, unemployed people whom the government hires, even some young ruffians, people on government subsidies, police officers, special weapons and tactics (SWAT) officers, and so on. I absolutely could not put up with people like this randomly breaking into my house. At present in Xinjiang, the exclusion of and discrimination against Uighurs is quite systematic, with the government leading the way . . . the Uighurs’ dissatisfaction with the government is unanimous with no internal disagreements. After all these years in Xinjiang, the government has failed to cultivate a Uighur vested interest group. There are some Uighurs with vested interests, but they are few and far between. I believe that, in this respect, the government has failed miserably; they failed even to achieve this. Right up to the present, although I’ve been in difficult circumstances, I have never sought financial assistance from any country. I will not be anyone’s lackey. I am an independent person who thinks independently. I am a Uighur intellectual. My first responsibility is to my people, the Uighurs, to my hometown, and to my country. I will not be anyone’s lackey. I admire the American system, I like America’s academic freedom, I like American values such as the protection of human rights, respect for the opinions of political minorities, freedom of religion, freedom of the press, democracy, and so on. I am not, however, an American. Nor do I believe that the Uighur issue can be solved by depending on the U.S. The issues facing Uighurs ultimately can only be solved through a mutual dialogue between the Han and the Uighurs. I am not going anywhere. The issues facing the Uighur are in China, and the resolution of these issues is also in China. If I have to be imprisoned, then I will remain in a Chinese prison. After my release from prison, I will still be in China seeking a future for the Uighurs. If I die, I have only one desire: to be buried in my hometown. It would be enough of a solace for me. Translator’s note: the “one village one police station, one household one police officer” was a campaign initiated by Zhang Chunxian, a Politburo Member and the Party Secretary for the Uighur Autonomous Region, as a means to more tightly control Uighur villages. 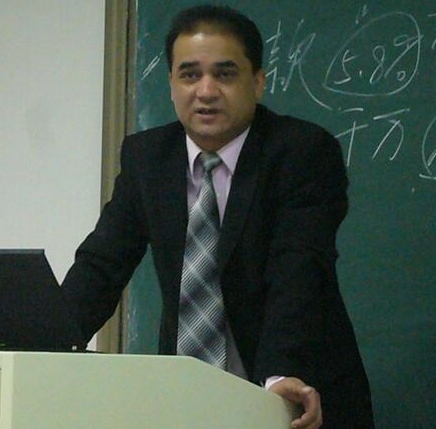 By China Change in Interviews, Rule of Law, Uighurs on September 16, 2014 . My name is Kylee Denesha and I am a Journalism and Theater major at the University of Massachusetts Amherst, USA. I am currently enrolled in a Global Journalism course at my university, where we are thoroughly investigating international relations and media. I selected China as my nation of choice, and I am very much interested in the journalism and media of China, and the work that you do. I found you on X while exploring these themes, and I was drawn to you because of your expertise and experience in intense media, censorship, editing and newswriting. For this in depth project, I am looking to interview you and discuss the topics of your research, and your work on Chinese journalism and news. If this interests you, I will need to schedule a 20 minute interview before November 8th, if that is convenient. I am available via Skype, phone call, or even email if that is what you prefer! I would greatly appreciate your time, and learning about your work would not only be helpful to our project, but it would be fascinating to learn about as a student. Please contact me if you have any questions at all, and I look forward to hearing from you. Thank you so much, take care!